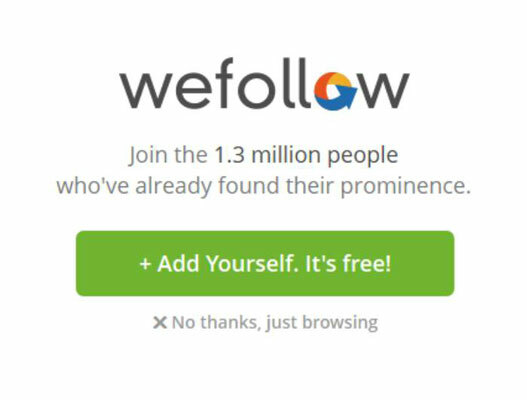 WeFollow is a user-powered directory of Twitter peeps (known as Tweeps). Considering that Twitter has over 8 million users, this site gives you an idea of the more active and interesting ones. You can find not only celebrities, but also people who have common interests and share the kind of hobbies you like. 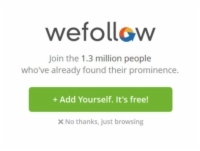 1Go to WeFollow in your web browser. You can visit the site just to browse, or you can add yourself to the directory so that others will find you. 2When you land on the opening page shown, you’ll see links to topics. Several of the more popular categories (of the thousands listed on the site) appear here — along with the people, in order of influence, who’ve been listed in each category (or tag, as it’s also called). 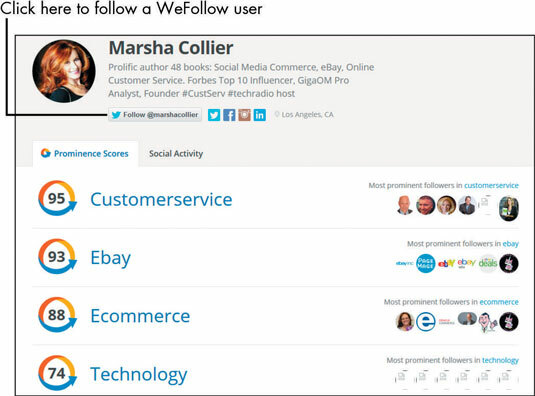 WeFollow has a number next to each Twitter user’s ID, from 1 to 100 — the Prominence Score. A number closer to 100 indicates a higher level of prominence (Tweets more about their chosen topic) on Twitter. 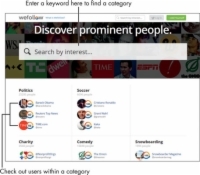 At the top of the page, you find a gray text box that says Search by interest. Here you can type in any subject you wish. As you type, a drop-down list appears and shows you categories that match what you’re typing — and how many people are in the category. 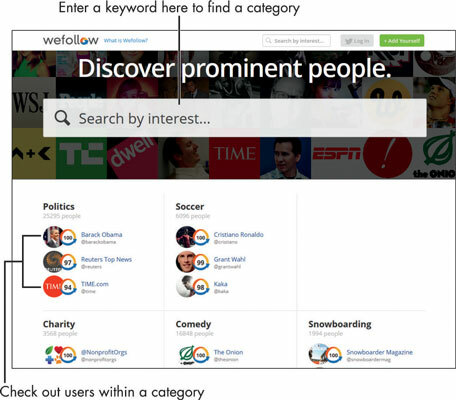 Click a category from this list to view its influential users. 4Click a user in the category’s list. The resulting page shows the user’s 160-character Twitter bio, avatar (photo), links to their other social networks, and a list of the categories they’ve tagged themselves in. If, after looking at the info, you want to follow the user, click the Follow bar under the bio. 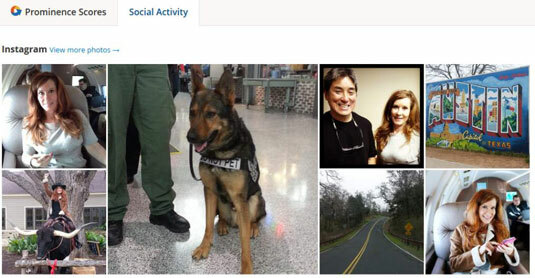 5Click the Social Activity tab. You are shown images and other media this user has shared recently. 6Perform these searches over and over. You can find lots of interesting new people to follow.